If I had to choose between chicken or eggs… I’d pick eggs! 1) Scramble the two eggs in a bowl and set aside. 2) Spray a non-stick skillet with a light coat of coconut oil and toss in the onions. 3) Cook the onions for about 45 seconds before tossing in the turkey, tomatoes and mushrooms. 4) Stir around for another 30 seconds and then pour the egg mixture over everything. 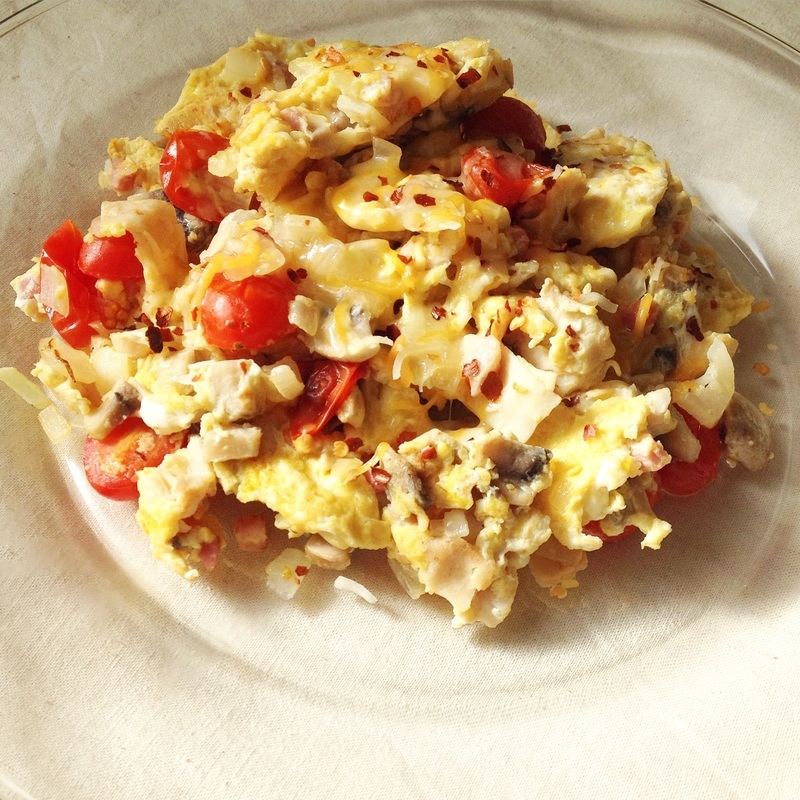 5) Scramble the eggs around occasionally until everything is cooked. 6) Plate immediately and top with a sprinkle of cheese and red pepper flakes!